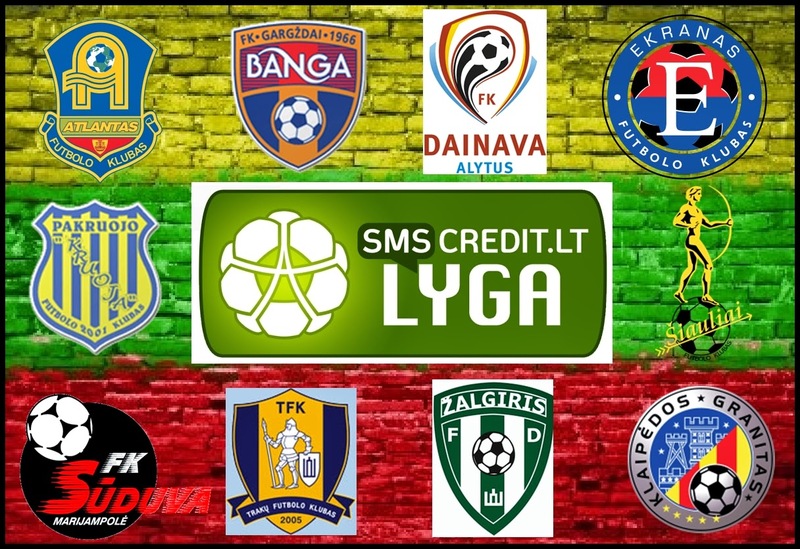 The A Lyga (English: The A League), currently also known as SMScredit.lt A Lyga for sponsoring purposes,is the top division of professional football in Lithuania. It is organized by LFF (Lithuanian: Lietuvos Futbolo Federacija, English: Lithuanian Football Federation). League size has varied between 8 and 12 teams over the past few years; for its 2014 season, the league features 10 teams. The season usually kicks off in late March/early April every year; because of the harsh climate there are no games in the winter. The league changed its number of teams for the fifth time in a row, increasing it from nine teams in 2013 A Lyga to ten sides, because it 2 new clubs from 1 Lyga, it is FK Trakai and FK Klaipėdos Granitas. As a consequence, the schedule increased from 32 to 36 matches per team, with each team playing every other team four times in total, twice at home and twice away. The 2014 A Lyga, is the 25th season of the A Lyga, the top-tier association football league of Lithuania. The season starts on 8 March 2014 and ends on 29 November 2014.